At just £129 it's cheaper than many petrol multi-tools, but is it worth the money or can you spend your budget more wisely? Lidl will sell its 4-in-1 multi-tool from 2 July 2017. 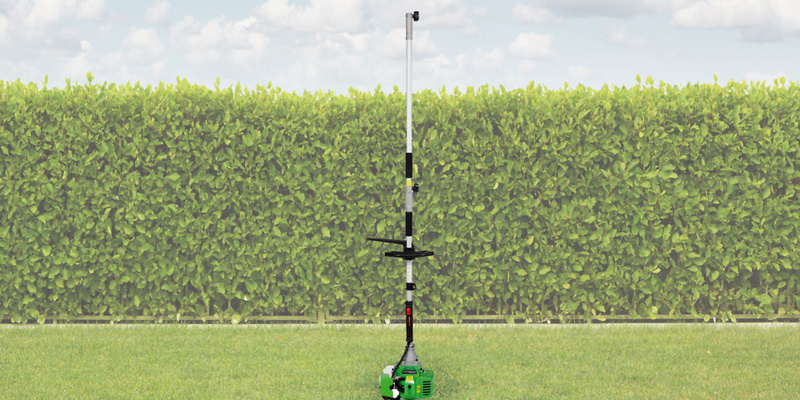 This petrol machine can be turned into a strimmer, long-reach hedge trimmer, brushcutter or pole pruner. It’s priced at just £129. We tried this machine out when it was originally on sale in 2016 and were impressed by the low price. Multi-tools from other brands can cost for around £250 upwards, but is this one a bargain or are you better off buying another model? Find out in our first look review. Aldi and Lidl have new offers every week and some give great value for money, while others fall short of the mark. Find out what we think of their electrical special offers. The Florabest 4-in-1 Multi-tool has a 1.35kw two-stroke petrol engine and a variety of accessories that will turn it into a strimmer, brushcutter, hedge trimmer or pole pruner. In the box you will find a shaft to which you can attach either a strimmer head (which comes with the line already wound) or a brushcutter blade (a triangular solid metal sheet with sharp edges for cutting tough undergrowth like brambles and tree saplings). There’s also a long-reach hedge trimmer with a 45cm-long blade, a 90cm-long extension pole for reaching tall hedges, and a pole pruner. The pole pruner is a small chainsaw which you can use to remove deadwood and small branches for tree canopies. Also included is a small set of tools, extra strimmer line, protective glasses and a container for mixing petrol and two-stroke oil. You’ll need to buy the two-stroke oil and petrol as none is included. However there should be a small bottle of chain oil for the pole pruner, although none was included in my box. A harness is provided, as well as a loop handle to attach to the shaft. You will definitely need the harness as the tool weighs 7.5kg when the strimmer head is attached. Do you need a multi-tool? Alternatively, you might find it’s better to choose a Best Buy strimmer and Best Buy hedge trimmer that’s right for you and your garden.